Vinegar is like the red-headed (or maybe sour tasting) stepchild compared to wine and beer, its more illustrious cousins. Vinegar, however, has its own interesting history with its share of fascinating anecdotes and stories. While many stories are descriptive touching on the history of science, business, and even alchemy, others are interesting in their own right and reveal some of the amazing, if not shocking, twists and turns vinegar has made throughout history and legend. Below are ten that I think rank among the best. Some, like Hannibal and Cleopatra are well-known. Others are more obscure, but all are worth reading whether your interest is in food history or just food! Helen of Troy, the mythical beauty whose kidnapping by Paris sparked the Trojan War, is reported to have preserved her beauty by bathing in vinegar daily. Hopefully she didn’t have any open sores! #9 – Hannibal of Carthage – who needs dynamite? During the Second Punic War, the grand struggle over the Mediterranean world between Rome and Carthage, Hannibal, the famous general of Carthage, attacked Italy from bases in Spain via Gaul and the Alps. 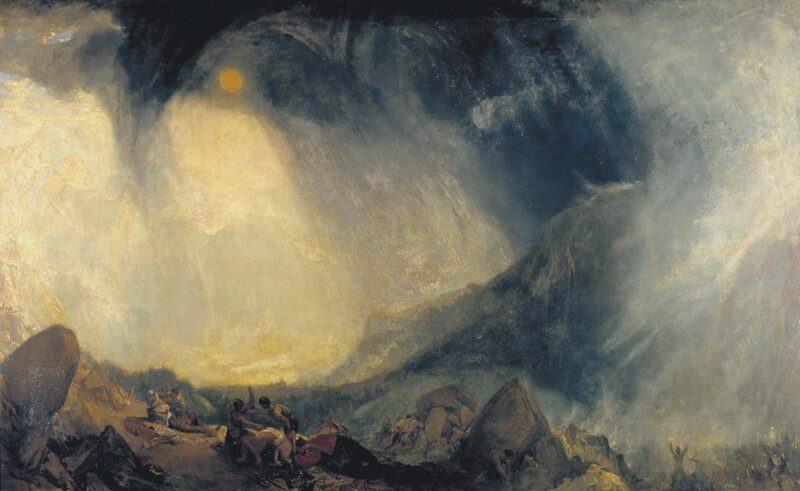 According to legend related by the Roman historian Livy, while in the Alps, his soldiers encountered a rock formation that prevented their passage. Hannibal’s solution was to light fires to heat up the rocks and pour vinegar into cracks of the hot rocks. Once the acid supposedly weakened the rocks, his troops were able to break them apart. This story seems doubtful unless the rocks were made of a material like limestone which is easily attacked by acid and is likely apocryphal. 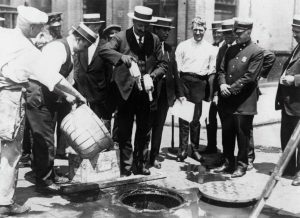 In one of the greatest social experiments in American history, the nation banned most of the manufacture and sale of alcoholic beverages and entered the Prohibition Era with the Volstead Act and the 18th amendment to the Constitution in 1919. The subsequent degeneration of morals, rise in organized crime, and the rise of jazz (hey not everything was bad!) is well documented elsewhere. The effect on vinegar manufacturers though was multifaceted. So vinegar manufacturers were one of the few companies that could legally purchase or produce alcohol (hard cider or otherwise). This was a loophole that was quickly exploited by many bootleggers to set up “vinegar” companies and buy or make liquor that was later distributed on the black market. Federal authorities eventually put a stop to this by mandating that alcohol sold to vinegar companies be mixed with 5% ethyl acetate making it still fit for vinegar but ruining it for regular alcohol consumption. The Roman writer and historian Pliny the Elder described the relationship and alliance between Mark Antony, one of the three leaders in the second triumvirate that emerged to rule Rome after Julius Caesar’s assassination, and Cleopatra, Queen of Ptolemaic Egypt. 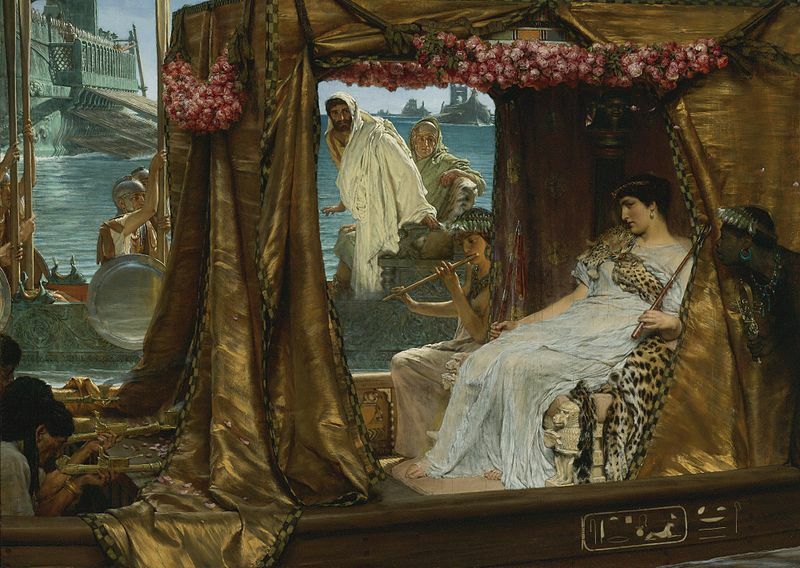 According to Pliny in his Naturalis Historia (Natural History), Cleopatra presented a challenge to Mark Antony, who had been spending his time enjoying the luxuries of Egyptian royalty. She proposed that she could one up him in extravagance by spending 10,000,000 sesterces (a silver coin; the total amount of the wager is worth about $17 million in today’s values) on a single meal. He accepted the wager and at the next feast, she took two large rare pearls that were heirlooms of the Egyptian Pharaohs, dissolved them in a cup of vinegar, and drank them. It is disputed if this event ever occurred. Pliny also writes of a son of the actor Aesopus who dissolved an expensive pearl in vinegar in order to see how it tasted. The Roman poet Horace in his Satires elaborated on this story stating that the son dissolved the pearls of a woman with whom he was having an affair. Was the story of Mark Anthony and Cleopatra an embellishment using aspects from an older tale or just life imitating art? In any case, her example seems to have inspired others since the Emperor Caligula was accused of the same profligate practice by the imperial historian Suetonius in The Twelve Caesars. The first records of what we believe is balsamic vinegar were made during the Middle Ages in the Duchy of Modena, Italy. While early documentation is scarce, balsamic developed as a niche, artisinal condiment made for the wealthy families in the regions of Modena and Reggio Emilia. It was given as gifts, shared with friends, and counted as wealth—but never commercialized. As late as the end of the eighteenth century, balsamic was still a high priced and rare commodity. It was sometimes referred to as the “Noble’s Vinegar” in comparison to the “Commoner’s Vinegar” which was often plain wine vinegar. In the end, balsamic would become a commercial commodity and its niche status would change forever. Ironically, the event that would precipitate this was not a domestic phenomenon but an international one: the French Revolution. The Revolution arrived with the bayonets of Napoleon’s troops when he invaded Modena in 1796. The reigning Duke of the Este family, Ercole III, fled to Venice taking several very expensive barrels of balsamic with him. The French troops treated the palaces of the Duke in Modena the way they treated palaces in other areas—stripped bare and sold off for profit. The casks of vinegar from the ducal cellar were no exception. 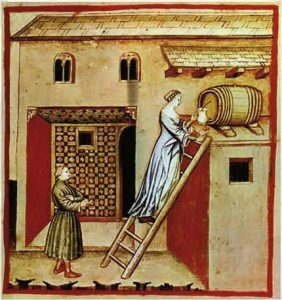 As brazen as this act was, it spread the vinegar far and wide and began the widespread commercial market for balsamic vinegar, first in Italy and then amongst the wealthy in the rest of Europe. Balsamic vinegar became regularly referred to as such only in the 19th century. China has one of the richest and most diverse vinegar cultures in the world. One of its most important regions is the province of Shanxi, particularly around the city of Taiyuan. 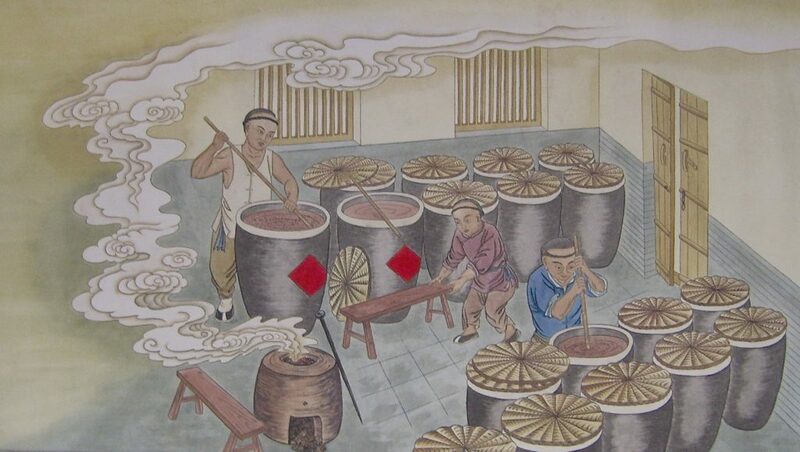 One of the more important smaller cities in the Shanxi vinegar tradition is Jinzhong which has a history of brewing famous vinegar going back more than 2,000 years. Vinegar played an important role in the economy, culture, and even marriage negotiations! Legends state that in Jinzhong, when fathers looked for a suitable son-in-law for their daughters, they checked the obvious things such as family history and financial means. However, in addition, the suitor was required to have a large urn of Shanxi Vinegar for the family to use (and possibly make more vinegar in the future). Only then could he be considered suitable. In the French military of the seventeenth through eighteenth centuries, the cast iron cannons used on land and sea were frequently cooled down with two pints of vinegar after firing. The water portion of vinegar helped carry away heat as it turned into steam while the acetic acid would help clean the cannons and prevent rust and corrosion. The Duke of Meilleray, master of the artillery under King Louis XIII in the seventeenth century, reportedly spent 1.3 million livres ($31 million in current dollars!) on vinegar alone in one of his battles. As the vinegar industry modernized and consolidated, the ancient vinegar industry in Orléans, France shrunk from about 300 vinegar brewers at the end of the eighteenth century to only 17 by the eve of World War I. Amongst these was Dessaux Fils, the largest in the city and one of the largest in Europe. Led by the members of the Dessaux family, it became the standard bearer for Orléans vinegar and was one of France’s most valued brands. 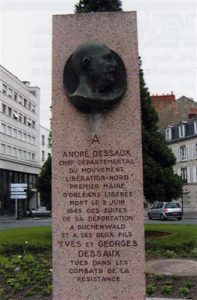 André Dessaux, head of Dessaux Fils at the time of World War II, became an active member and later leader of the French Resistance after the Nazi invasion of France and the establishment of the Vichy regime. He was head of the departmental organization of the French Resistance in the Loiret region. He was arrested twice, once in 1941 when he was soon released and again in October 1943, this time by the Gestapo who deported him to the Buchenwald concentration camp. After nearly two years of hell, he was liberated by American soldiers in April 1945 and returned to Orléans in May 1945. Due to his accomplishments he was elected the first mayor of the officially liberated Orléans but due to failing health he declined his post in favor of Pierre Chevallier who had been acting mayor since the city’s military liberation in 1944. He died a month later on June 2, 1945. A bust of his head and an inscription as well as a named street and school are testaments to his name in Orléans. #2 – Balsamic vinegar prices – a bottle for a car?? The rise of balsamic vinegar’s popularity has made some of its varieties extremely valuable. There is not a large and liquid market for fine balsamic vinegar similar to the global market for fine wine. Wine is widely traded and stored as an asset class and even tracked by its own market index, the Liv-Ex. However, some types of aged traditional balsamic vinegar have sold for substantial sums. In 2007, at the First International Auction of Balsamic Vinegar in Modena, Italy, a 100mL bottle (Traditional Balsamic Vinegar of Modena, unknown aging) was sold for 1,800 Euros (about $2,500 at the exchange rate then). This would make this vinegar cost about $25,000 per liter or almost $95,000 per gallon! 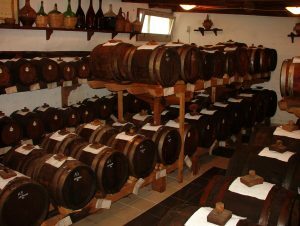 At the same auction, a nine barrel batteria (series of wooden barrels used for making and aging balsamic vinegar) of aged balsamic vinegar sold for 31,000 Euros (about $43,000). Three other family batches of balsamic vinegar were purchased by Chinese chefs from Shanghai demonstrating the global pull balsamic has obtained. #1 – Vinegar’s Secret Sauce?!?!?! Likely the first technically inclined manual on vinegar production was Art du Vinaigrier or “Art of the Vinegar Maker”, written in French by the French chemist Jacques François Demachy in the year 1780. At the twilight of the ancien régime, Demachy wrote a comprehensive treatise on vinegar incorporating both common practice from various countries, including France, as well as the recent scientific knowledge gained by scientific researchers throughout Europe. Besides practical and theoretical aspects of making vinegar, it also details some traditions and even one “very secret method.” The description of this method is one of the most colorful, and also shocking, discourses in the history of vinegar making. In Chapter II of Art du Vinagrier he details the secret method and from the outset vouches for the veracity of the story, including the credibility of the two witnesses he interviewed. He also claims to have reproduced the effect in his laboratory. The story follows as thus: the two interviewees were French Naval officers. One had been in charge of food for the navy and the other had worked under him as a quartermaster and procurement officer. French ships by practice had always been required to carry large amounts of vinegar. While the germ theory of disease was still unknown, the cleansing effects of vinegar were well known and the ships were required to wash the deck, galley, and cabins twice a week with vinegar for cleanliness. In addition, vinegar was also given to the crew where it was observed to help prevent scurvy. Scurvy is actually caused by vitamin C deficiency but some fruit or wine vinegars have residual vitamin C that can help make up the deficit. Therefore, the French Navy had a large need for vinegar. 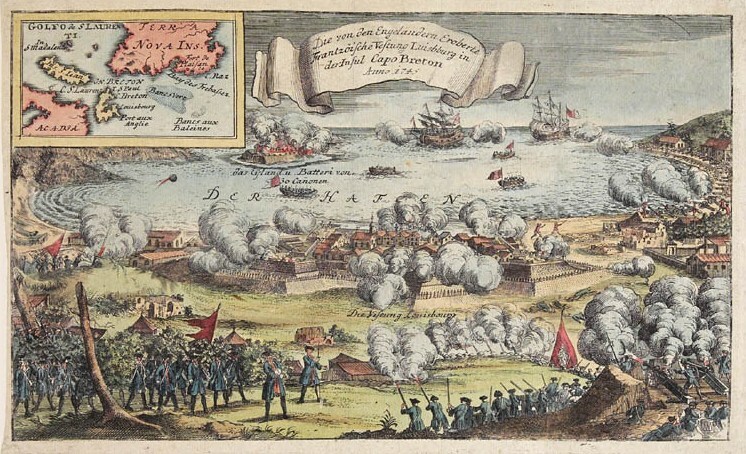 At the outbreak of the Seven Year’s War in 1753, known in the United States as the French and Indian War, the French Navy obviously needed to provision itself for a long fight and vinegar demand sharply increased. What followed next Demachy claimed showed “greed had no bounds.” Like all wars, many war contractors desired contracts and not all were scrupulous. Given the long fermentation time of weeks to months to make wine into vinegar many aspiring contractors sought means to shorten the process and cut corners. Allegedly, some suppliers asked their workers to relieve themselves by urinating into the wine. The exact reason is not given but it probably was to give a slight acidity to the wine to ‘pass’ it as vinegar to the navy. In any case, what was found was that after workers urinated into the wine, within five to six days, the wine would completely ferment into the most delicious vinegar! This shortcut being found, the use of urine to speed the process supposedly became standard amongst some vinegar makers. 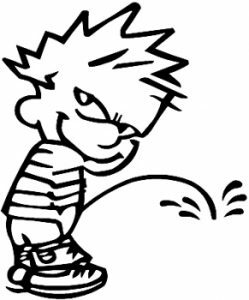 Demachy even claimed to have tested it in his lab stating the urine to wine ratio should be roughly 20 grams of urine per liter of wine! Throughout the entire history of vinegar making, especially in France, Demachy and his two “credible witnesses” are the only sources for this legend and practice. The secrecy of the Orléans process and vinegars such as the Four Thieves Vinegar generated many legends and rumors regarding the making of vinegar but often hyperbole won out over hard science. While this practice may have occurred amongst a select few vinegar makers during a certain period, it does not seem to have been an established practice.